Carinn; carerynn | Malaysia Fashion, Beauty & Lifestyle Blog: Event/ Shopping: Carousell Pop-Up Market @ Bangsar Day 1! 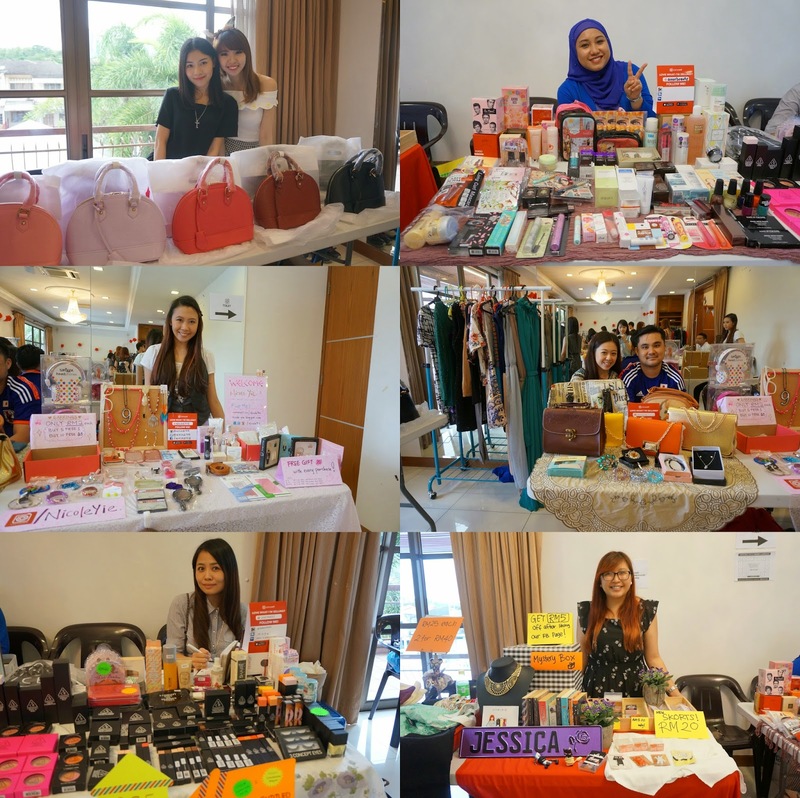 Event/ Shopping: Carousell Pop-Up Market @ Bangsar Day 1! I had to take some photos for the Carousell page so why not use it for my blog too? What you're reading now is more or less the LIVE version of the event happening RIGHT NOW! It starts from 10am - 6pm. We heard that it might be extended till 7pm tonight, just come on down early and grab all the good deals before they're gone! Check out the photos and some must-see things that I've listed out. LOVE this mural! It's the perfect place to take photos! The awesome #teamcarousell :) Drop by to say hi or leave your feedback, they'll also be happy to answer any questions you have! If you did not bring your own recycle bag, you can always opt to buy the limited edition Carousell eco totes for RM25 only! There's also a photobooth on stage, of course we couldn't resist the temptation to start camwhoring! Just some of my friends who dropped by to visit today :) Thank you, girls! This event was proudly sponsored by Worthbook Malaysia and Zalora. Don't forget to check out the sponsors' booths too! At 10am, the doors opened and.. Let the shopping begin!! Yummy cupcakes from Sooka Pastry! And of course, CLOTHES! Lots and LOTS of clothesssss! New, preloved, you name it... The prices range from RM5 onwards. One stall was even selling off preloved clothes for as low as RM1! MADNESS! Please don't neglect the rest of the vendors too because if you look closely, there are more awesome booths outside the hall too! Even the Red Bull team dropped by to spread the cheer! Just some of the bloggers at the 2nd floor of the community hall. My booth is upstairs too and it can get a little lonely.. So PLEASE come up to the second floor for more great deals! Your favourite beauty and fashion bloggers are clearing out their closet so their clothes and beauty products go for as low as RM10!! 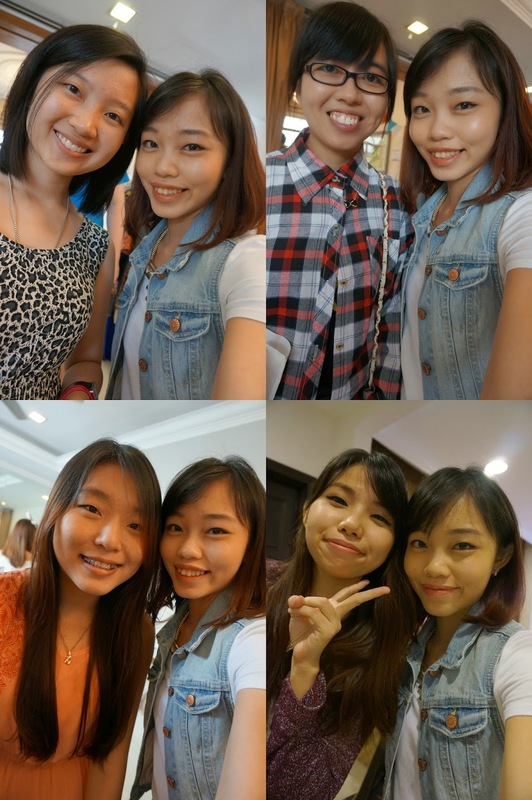 From top: Vicky Bobo, Chanwon, Puteri Zaqil Amar, Nicole, Rebecca, Audrey and Jessica. And most importantly, this is my booth! I'm sharing it with Audrey. We actually woke up at 6am and reached the venue at 8am to set up. Not too shabby eh? Audrey will be selling her BRAND NEW and AUTHENTIC 3CE products from her blogshop, Skincandy.co, at super duper low prices! I kinda regret buying them the past few months already after seeing how much she's selling these for now.. Almost close to cost price! :O Aud literally travelled a few hundred km from JB to attend this bazaar! *touched* So if you've been dying to get your hands on 3CE products, now's the chance! You'll also get to swatch it so you can fall in love with it before you buy it! I'm also selling some shoes, bags, hats, phone covers and accessories! Ended the day with lots of smiles and laughters with my newfound blogger friends. Even though we didn't get much of a crowd (seriously guys, come upstairs and find us! ), we had so much fun chatting and sharing ideas so you can bet that Day 2 will be even more phenomenal! So to answer your question of "What to do on a Sunday?"... Just come on over to Gujarati Community Hall / GAWPS Samaj at No. 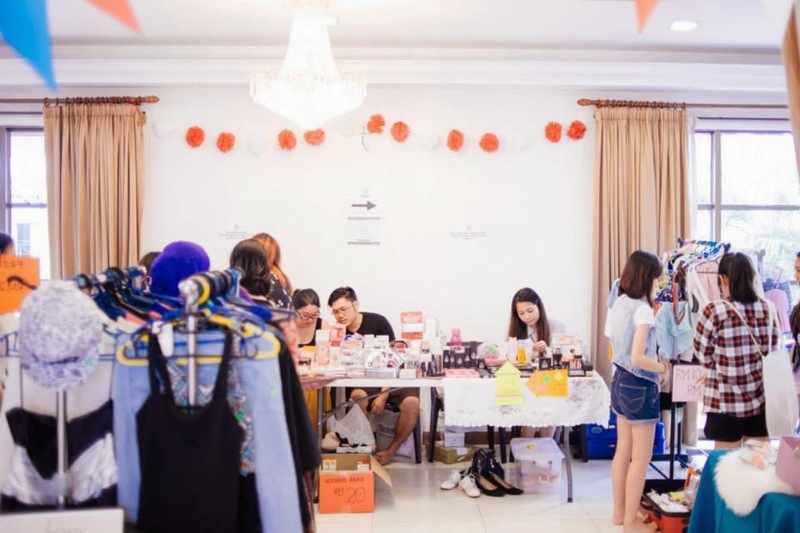 38, Lorong Maarof, Bangsar Park to scour for great deals! FYI, if you're coming from McDonald's Telawi on your left, just proceed to the traffic light, take a right turn and just go straight until you see the tents and Carousell banner! Psst.. You can also read about the previous Carousell event HERE! Promise that it's all fun, as usual :D Learn more about the app and what it has to offer HERE too! For more photos, view them HERE. Wow, I missed it~! :(. The heels so nice leh..